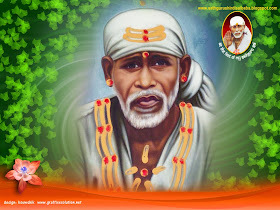 Shirdi Sai Baba Stories,Leelas and Teachings. : Prayers will be taken to Shirdi On 10th March 2010. Prayers will be taken to Shirdi On 10th March 2010. HOPE U R DOING FINE. MY FRIEND ADITI KHOSLA IS VISITING SHIRDI ON 11TH MARCH, SHE TOLD ME TO CIRCULATE THE INFORMATION .PLEASE CIRCULATE HER MESSAGE ,DEVOTEES SHULD SEND THEIR PRAYERS TILL 10TH MARCH MORNING IST. Dear All, please mail your prayer request to Aditi Khosla at her E-mail ID aumssaaiiaum@yahoo.com.Please send your prayers with words "Prayers to Shirdi" in the subject line of the mail to make the clubbing and tracing of prayers easy.I request devotees to mail their prayer request to the ID given here and do not mail to my personal ID ,rather they can comment to this post if they are not sure . Thanking all of you for your co-operation.Jai Sai Ram .